Does Psalm 19 teach us about the zodiac? When did Yahuah direct us to learn about the past, present, or future from studying the constellations? Astrologers have used the heavens to divine the future, and today Natsarim and Christian teachers are using the constellations to interpret the events of the past, and even the timing of the return of Yahusha. 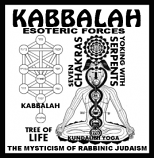 The ancient beliefs of Babel center around the imaginary living animals supposedly shaped by connecting star patterns in the skies. 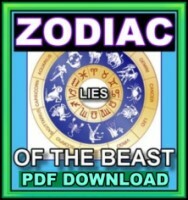 This "zoo," or "zodiac," has downloaded into every culture on planet Earth. It has put all mankind into a deep slumber, a dreamworld. The zodiac, and all the sorcery associated with it, remain relatively undetected by most people. From birthdays to palm reading, an astral lady called the "Great Mother" of harlots teaches the world to perform her wishes. She rides a beast, or teaching authority, given great power by a dragon. All of this sounds very mysterious, until the veil is removed.